More than 1.8 million women and children who live in the poorest towns of Mesoamerican countries have experienced significant progress in access to quality health services over the last six years. This is demonstrated by the results presented by the Mesoamerica Health Initiative (ISM), a project that has been able to achieve ambitious goals in improvements to access, coverage and quality of health services for the women and children of Belize, Costa Rica, El Salvador, Guatemala, Honduras, Mexico, Nicaragua and Panama. The main advances have been made in improving indicators of pre and postnatal care, as well as vaccination. The progress and evolution of these indicators has been independently verified by the prestigious Institute for Health Metrics and Evaluation (IHME) at the University of Washington in the United States. 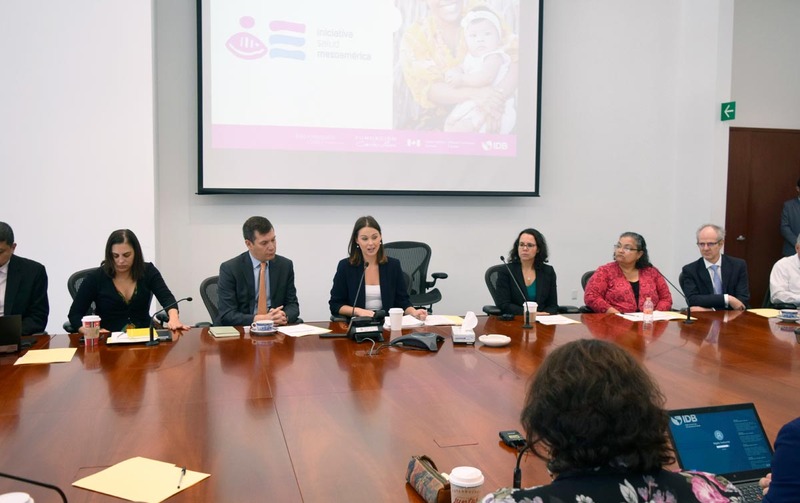 The project has been coordinated by the Inter-American Development Bank (IDB) and financed with 130.3 million dollars by the Carlos Slim Foundation, the Bill & Melinda Gates Foundation and the governments of Canada and Spain. The governments of Mesoamerican countries have contributed another 45.3 million dollars to the project. The State of Chiapas in Mexico has been one of the places benefitted by the ISM. Part of this has been the fitting-out of more than 300 health units with modern equipment that aids proper healthcare for women during pregnancy, childbirth and puerperium, as well as for newborn babies, including dealing with their complications. According to the evaluation of the IHME, after the first two phases of the Initiative, institutional childbirth in Chiapas rose six percentage points, going from 34.7 percent to over 40 percent. In 2018, quality postnatal care for women was available in practically 50 percent of all cases, whereas in 2013, almost no-one received this care. The highest increase occurred in the use of drugs after childbirth to prevent hemorrhages in women, such as Oxytocin, which rose by twenty-five points, from 72.4 percent to 97.3 percent. At the start of the project, only 6 out of every 10 children had antibodies against measles, whilst, according to the latest data, this had increased to 8 out of every 10. The project had a total budget of 8,404,190 dollars and benefitted 143,000 children under the age of 5 and 270,000 women of fertile age in thirty municipalities of San Cristobal de las Casas, Palenque, Ocosingo and Pichucalco. The achievement of the indicators by the State of Chiapas will allow the State’s Ministry of Health to receive a prize of 1.1 million dollars from the members of the Initiative, to be invested in priority public health projects. The positive results of the ISM have been extended to the group of countries of the Mesoamerican region, where the main indicators related to maternal and child morbidity and mortality have significantly improved over the last 6 years. Since 2012, the work of the Mesoamerica Health Initiative has focused on helping the region’s countries to reduce the gaps in access to healthcare by women and children who are part of the most underserved 20 percent of the population. Thanks to the ISM, the gap in access to healthcare services among the most vulnerable segments of the population and the rest of the population has started to close. For example, in El Salvador, prior to implementing the Initiative, the average access to planning methods in the general population was 71.9 percent, whilst in the poorest 20 percent it barely reached 53.5 percent. Following the actions of the ISM, today 75.4 percent of the poorest women now use planning methods, a figure even higher than the national average. In another example, in Honduras nationwide, 88.9 percent of pregnant women received on average at least four prenatal consultations, whilst this service was only received by 65.2 percent of the poorest women. Following the actions of the ISM, the number of women who live under the most underprivileged conditions who receive four prenatal consultations before childbirth rose to 84.4 percent. In the State of Chiapas, Mexico, the average number of women who received the four prenatal consultations was 94.3 percent, state-wide. However, in the poorest group, the number was barely more than half, with 52.8 percent. In 2018, 61.8 percent of the poorest women in Chiapas now have access to these services. The progress made with the work of the ISM over the last six years has allowed the recent approval of a third phase in Honduras, El Salvador, Nicaragua and Belize. These projects that are financed by the Initiative, as well as being supported and contributed to by the national governments, will begin this year and run until 2020, with the aim of continuing to reduce the gaps in access to healthcare of the most vulnerable population of the Mesoamerican region.